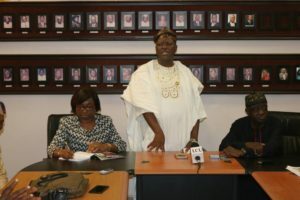 Lagos State Commissioner for Information and Strategy, Mr. Kehinde Bamigbetan today in Lagos pledged the State Government’s support and cooperation for Community Media in recognition of their role in history. Speaking at an interactive session with the publishers of Community Newspapers in his office, Bamigbetan underscored the importance of Community Media in information management, explaining that from inception they always provided relevant information and have a longer lifespan as they can be read at any time thereby essential in passing information to the grassroots. He stated that the support for Community Media by the current administration in the State was in line with its policy of the government of inclusion, pointing out that the Ambode administration has continually used community-driven policy as its competitive edge in governance. He tasked the publishers to take advantage of the huge population of the State and improve their production, while not sidetracking high ethical standards and training for operators. He said that Community Media is even more relevant now that some of them have gone online thus making their information global and advised the operators to develop their entrepreneurial skills, which he said, if well developed could make them print at least 500,000 copies per day. Speaking further, the Commissioner urged the operators to get acquainted with the laudable projects of the State Government and communicate this effectively, stressing that the policy thrust and the vision must be well understood by the residents for a better appreciation of government projects and programmes. 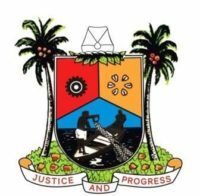 On the issue of refuse on some streets of Lagos, the Commissioner stated that the government has put in place a clear vision to improve waste management, emphasizing that Lagosians will begin to enjoy the well-packaged waste management measures being rolled out by the State very soon. Earlier, the publishers took turns to applaud Mr. Bamigbetan’s appointment as the Commissioner for Information & Strategy and commended him for bringing Community media to limelight under the current administration. Alhaji Monsur Olowosago, Publisher of Oriwu Sun, stated that the appointment is a right step in the right direction in view of the vast journalistic experience of Mr. Bamigbetan and his ability to mobilise the people of the grassroots. Olowosago commended him for his role in standardizing the operations of Community media in the State and for creating a platform of engagement for the operators while also assuring the Commissioner of their support and cooperation.